(Updated at 4:30 p.m.) A dispute between two private country clubs and Arlington County that resulted in some wrangling in Richmond seems to have come to an end. The Army Navy Country Club (1700 Army Navy Drive) and Washington Golf and Country Club (3017 N. Glebe Road) were both pushing for property tax changes that could have cost the county roughly $1.4 million in tax revenue each year, even backing legislation at the state level this year to force those alterations. That miffed county leaders, who bristled at attempts by the state General Assembly to change Arlington’s tax policy to save money for the golf courses. Now, the county has agreed to reduce the tax burden on each club by tweaking how it values their land, according to an April 27 email sent out by the Washington Golf and Country Club’s president and obtained by ARLnow. County attorney Steve MacIsaac confirmed that the parties have signed off on a settlement agreement, putting to bed a 2014 lawsuit brought by the clubs over the tax question. “Like any settlement, both sides give a little bit to get to a mutually acceptable outcome,” MacIsaac told ARLnow. The country clubs had backed the legislation, sponsored by Del. Tim Hugo, R-40th District, which would have forced the county to change how it assesses the value of the roughly 630 acres held by the two clubs. Currently, the courses are valued as “large acreage parcels” at $12 per square foot, while residential land near each course is valued as high $100 per square foot. Hugo’s legislation would have slashed the rate to about 50 cents per square foot, in a bid to meet persistent concerns from the courses that they were overtaxed. Washington Golf and Country Club President Stephen Fedorchak wrote a letter to members explaining that the county now has agreed to reduce the club’s valuation from “approximately $93 million to approximately $47 million” in 2018, which reduces the club’s property tax bill this year to about $460,000. Arlington also plans to credit $815,000 toward the club’s current tax bill to make up for the last three tax bills the club has paid at the previous, higher valuation, MacIsaac added. Raighne Delaney, the Army Navy Country Club’s secretary, did not respond to a call seeking details on the structure of his course’s deal with Arlington. But MacIsaac estimated that the club will receive about $1.25 million in credits toward its tax bill, and the valuation of the property will shrink by 25 to 35 percent under the terms of the settlement. 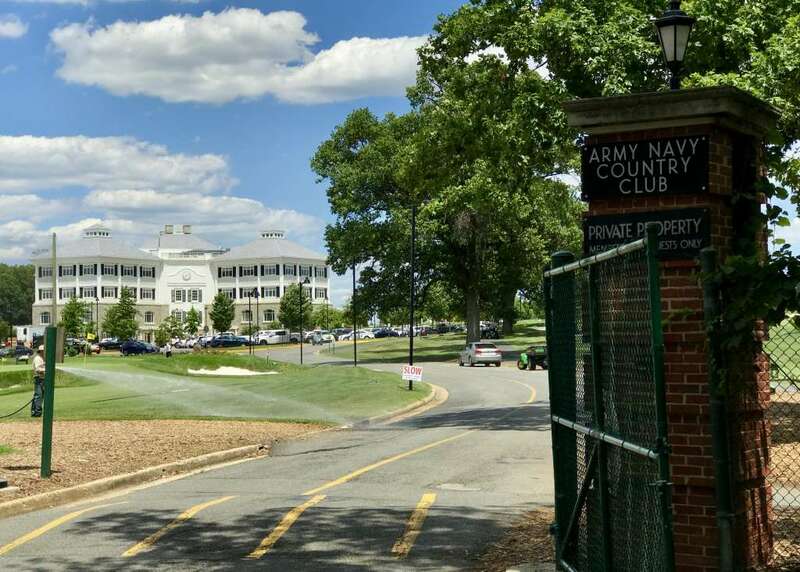 The Army Navy Country Club was assessed at just over $149 million for 2018, and was set to owe about $842,000 in taxes this year before any credits. Starting in 2019, the clubs’ assessments will “increase or decrease based on the average annual change in the county’s residential real estate assessments,” Fedorchak wrote. Should the assessment change “outside those parameters” the clubs reserve the right to challenge that valuation, Fedorchak noted. Arlington officials have previously argued that land is at a premium in the 26-square-mile county, necessitating the higher taxes. “Our community is already grappling with reductions to services in order to address budget gaps for the upcoming fiscal year and larger projected budget gaps in future years,” the county board wrote in a March 21 letter to Northam urging him to veto Hugo’s bill.